Andrej Kramaric scored a hat-trick as Hoffenheim staked their claim for a Champions League spot with a 3-1 win over Hannover in the Bundesliga on Friday. 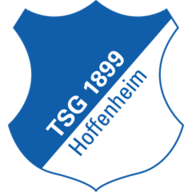 A mistake from Salif Sane, who is joining Schalke next season, gifted Hoffenheim the first as Serge Gnabry ran onto his botched back pass to give Kramaric a tap in. Gnabry was then forced off with a thigh injury before Kenan Karaman pulled one back for the visitors. 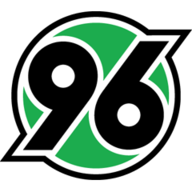 However, Kramaric restored the home side's lead when he smashed in a volley from a corner and the Croatian forward sealed the win late on, taking Nico Schulz's cross on his chest before chipping the Hannover goalkeeper. Hoffenheim's third win in a row has lifted the side into fourth and the last qualification place for the Champions League, though Bayer Leverkusen could retake the position with a win at home over Stuttgart on Saturday.